Evening primrose oil and black currant seed oil are both good sources of the omega-6 fatty acid gamma-linolenic acid, or GLA. Some studies suggest that GLA supplementation may benefit skin, hair and heart health, among other medical conditions. Talk to your doctor to learn more about how evening primrose or black currant seed oil or GLA may help your specific condition. Evening primrose, or Oenothera biennis, is a plant indigenous to North America with a long history of medicinal use. Women may take evening primrose seed oil to treat menopausal symptoms or use it to ease breast tenderness. However, evening primrose oil is most commonly used to treat skin conditions such as eczema and dermatitis. Black currant, or Ribes nigrum, is a shrub native to Europe and Asia. The seed oil has been used traditionally as a diuretic, to promote sweating and to reduce fever. Like evening primrose oil, it has been used to treat skin disorders. Gamma-linolenic acid is found in the seed oils of both evening primrose and black currant. This omega-6 fatty acid may help to stimulate skin and hair growth, maintain bone health, regulate metabolism and maintain your reproductive system, according to the University of Maryland Medical Center. Gamma-linolenic acid is not an essential fatty that you must obtain from your diet. Instead, your body converts the essential omega-6 fatty acid linoleic into GLA, which in turn is converted into compounds with anti-inflammatory properties. Conversion of linoleic acid into GLA may be deficient in some people, which may cause hypersensitive skin conditions. Consult with your doctor if you are considering taking evening primrose or black currant seed oil daily. Allergic reactions are possible in some people. Your doctor may advise against taking these supplements if you are also taking prescription medications such as blood thinners, blood pressure pills or antidepressants. 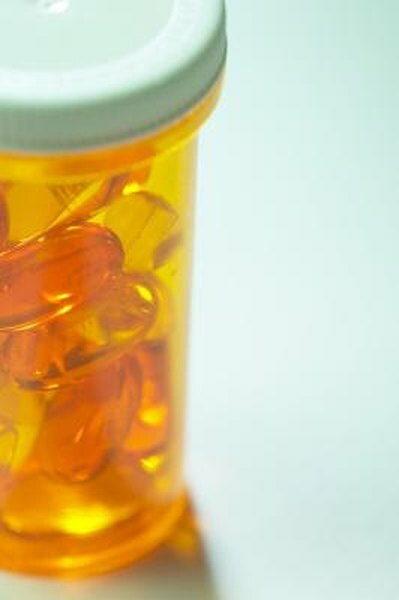 The amount that you take should be tailored to your needs while under medical supervision. Mild side effects of taking too much include intestinal upsets, loose stools and headache. The safety of either oil for pregnant or breastfeeding women has not been well-studied.